NC State's College of Engineering is among the top engineering colleges in the nation, thanks in part to support from alumni and friends. Without my engineering degrees, I wouldn’t be able to do the things I have in my life. I have been given the opportunity to travel, taking my family from not having two pennies to rub together to making substantial gifts to the University. When you generously donate your time, know-how and financial support, you help ensure that the next generation of engineers have access to the expertise and experience to thrive in the their fields. As alumni or friends of NC State’s College of Engineering, you’ve already experienced the life-changing benefits of our work. You know why supporting the College of Engineering is so important. Your gift to the college can support scholarships, fellowships, professorships, academic programs, faculty research and other initiatives that are not typically supported through state appropriations. Gifts to our endowment serve the college in perpetuity, providing valuable support year after year that builds over time. Schools with large endowments have a greater chance of luring top faculty and students with the professorships and scholarships the endowment supports. These top faculty and students are the backbone of a great college. Their impact is felt in the classroom, the laboratory and across the state and separates NC State Engineering from the competition. Endowments are just one way to support the college. Planned giving — donations through wills or trusts — support the college and can create lifetime income for the donor or a loved one. Some planned gifts are eligible for estate tax deductions. Whether an endowment or a planned gift, these ways of supporting the college stand as examples of the generosity of our loyal alumni that will inspire each new generation. 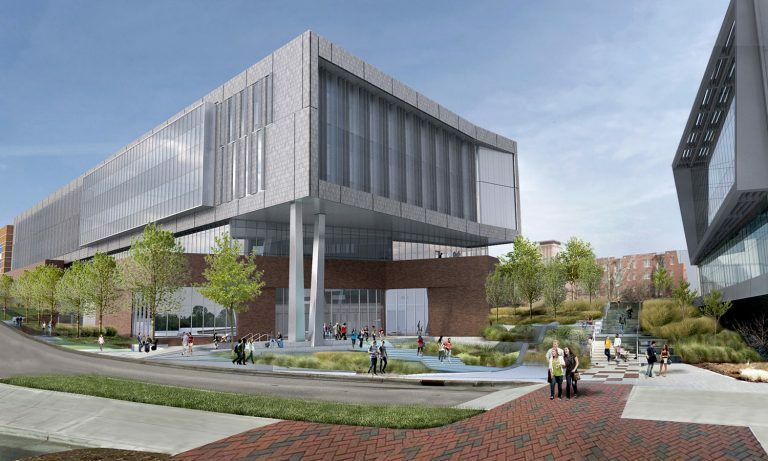 Fitts-Woolard Hall is the next step in the move of the college to Centennial Campus. The approximately 225,000 gross-square-foot, four-story structure will provide much needed space for labs and classrooms, offering even more of our students access to state-of-the-art facilities for biomanufacturing, advanced manufacturing, rapid prototyping and more. With their “yes” vote on the Connect NC bond in March 2016, North Carolina voters gave us a start toward making it reality. Your support will help us finish what they began. 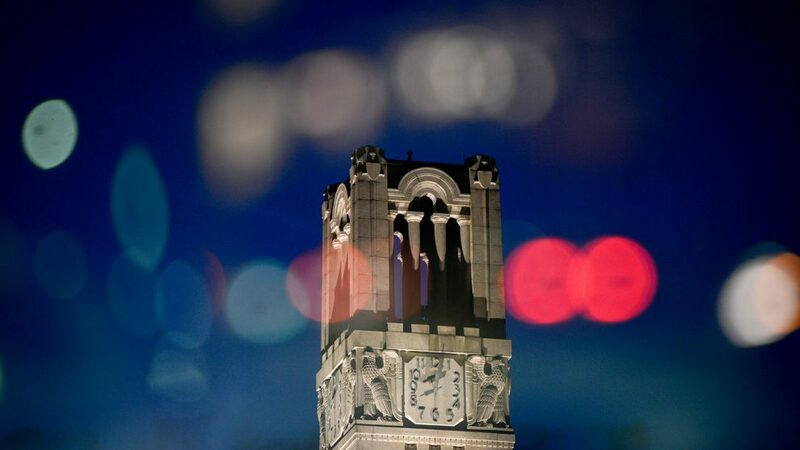 Our community of engineering and computer science alumni — 58,000 strong — fuels the economy of North Carolina. They make an impact far beyond the state’s borders, too, serving at the highest levels of Fortune 500 companies and the U.S. Army, leading tech-industry upstarts and even claiming a Nobel Prize. As lifelong members of the Wolfpack, they carry their NC State connections everywhere they go, reinforcing the bonds between their alma mater and the countless industries they touch. Keep your close ties to the College of Engineering through social media. Both industrial engineers from NC State. Both from small North Carolina towns. Both highly successful businessmen. Both Eds. 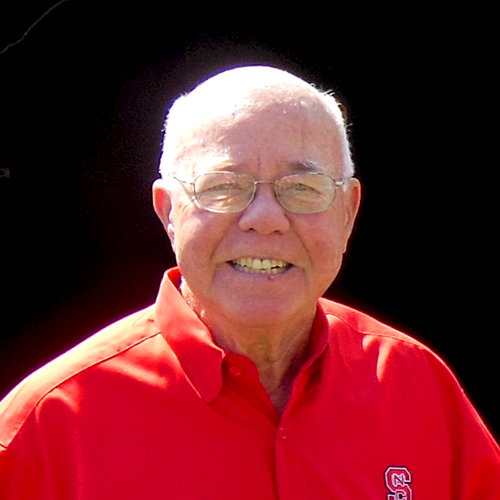 Edward P. Fitts, Jr. and Edgar S. Woolard, Jr. began a friendship based on their mutual love for NC State, their appreciation of the paths that their engineering degrees started them down and a common goal: to make the University, the College and the department where they studied the best that they can be. A new video illustrates how Fitts-Woolard Hall goes beyond bricks and mortar. The result of a unique public-private partnership, which includes the transformational support of Edward P. Fitts, Jr. and Edgar S. Woolard, Jr. and the generous commitment of over 300 alumni, Fitts-Woolard Hall will have an extraordinary impact on teaching, learning, research and industry.